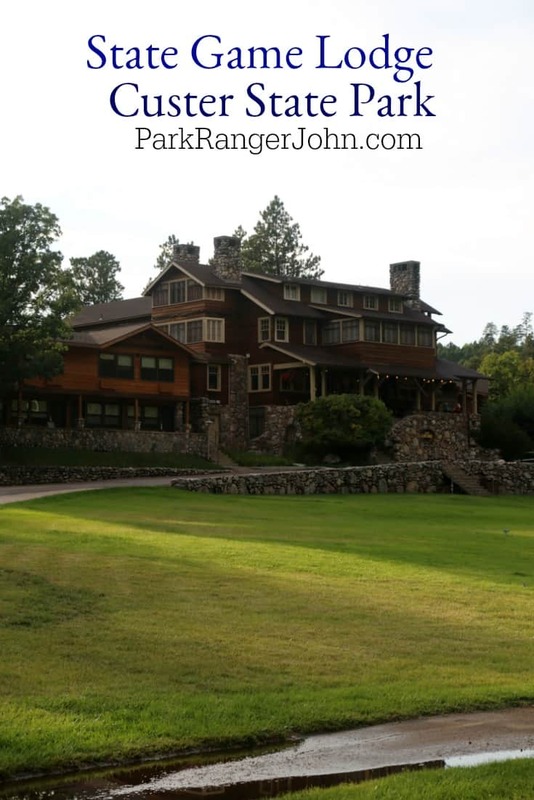 The State Game Lodge in Custer State Park was the summer White House in 1927 for President Calvin Coolidge. The State Game Lodge has seven rooms in the historic lodge and also has an adjacent motel and cottages. The State Game Lodge is registered on the National Register of Historic Places. The State Game Lodge was built in 1921 as a private meeting place for the State Game Commission. 72 days after the original lodge was completed it burned to the ground. The lodge was quickly rebuilt by 1922 and gained popularity quickly. In anticipation of President Coolidge’s visit, the lodge added on the Pheasant Dining Hall which displayed mounted pheasants across every chandelier and window. In 1927 President Coolidge declared the State Game Lodge his summer White House. For three months from June 13 to September 15th, 1927 President Coolidge and his wife along with their staff enjoyed staying at the State Game Lodge. President Coolidge enjoyed fishing and gold panning with his wife Grace. One unique guest was Mrs. Coolidge’s pet raccoon named Rebecca. During his stay, President Coolidge pledged federal funding for Mount Rushmore and attended the dedication of the memorial. President Eisenhower also stayed at the lodge for five days in 1953 to attend a young republican meeting at Mount Rushmore. 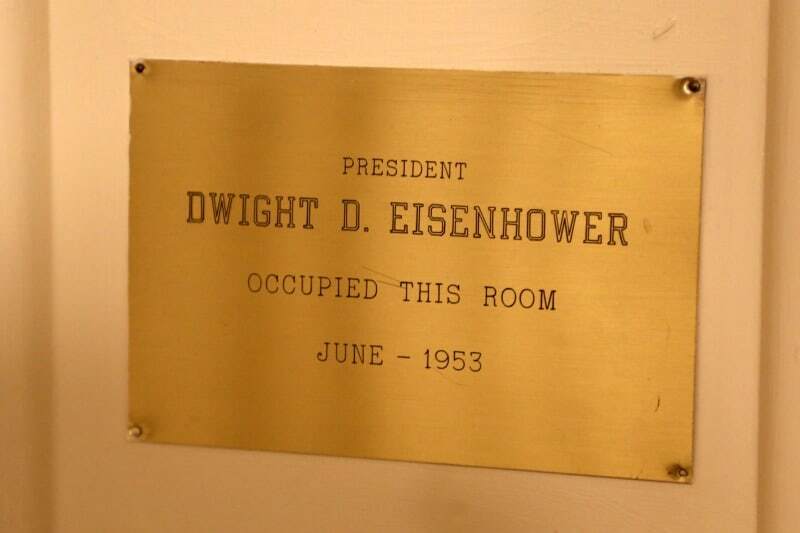 The rooms that President Coolidge and President Eisenhower stayed in are available to stay in today. 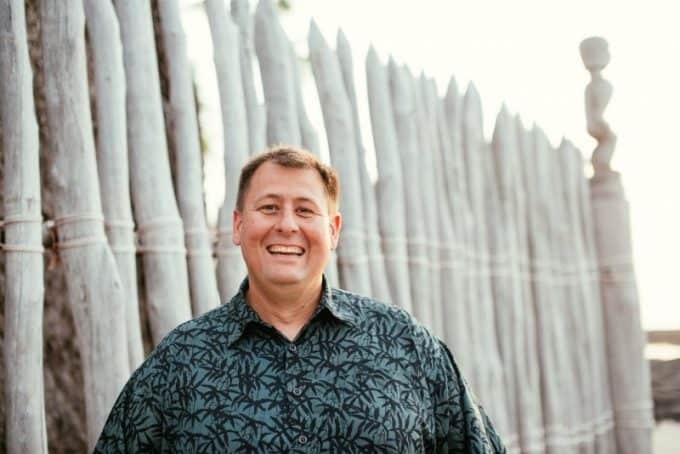 The lodge has been renovated and expanded over the past eighty years to accommodate more guests. In the 1960s two motel wings were added to the lodge. In 2008 the floor of the Pheasant Dining Hall was dropped from the second story to the main floor to allow for more dining. We stayed in a historical room at the State Game Lodge and truly enjoyed it. We did not stay in one of the presidential rooms but we were right next door. It was super convenient staying at the lodge and being able to leave early in the morning to explore the wildlife loop. We had large portions of the driving loop to ourselves which made for great photography and wildlife viewing. 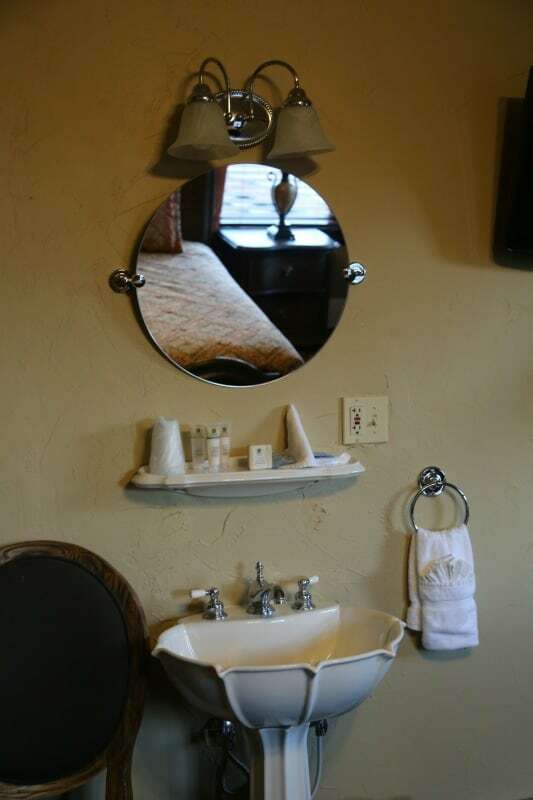 The sink and mirror were located near the bed. The room had an assortment of toiletries available. The bathroom was small but had an ensuite shower and toilet which was great. Hotel rooms – 40 lodge rooms with queen, double queen, king beds and suites. 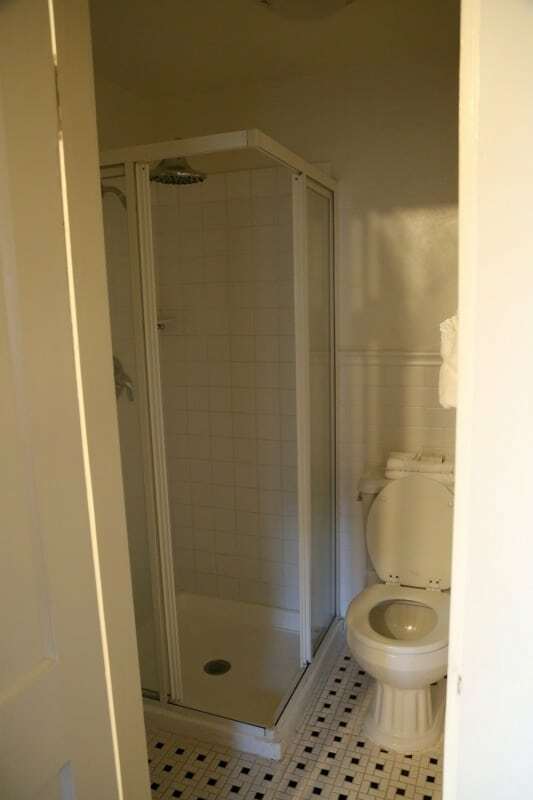 Rooms include a mini-fridge and microwave. Creekside Lodge has rooms with 2 queen beds and a sofa sleeper or 1 king bed and a sofa sleeper. 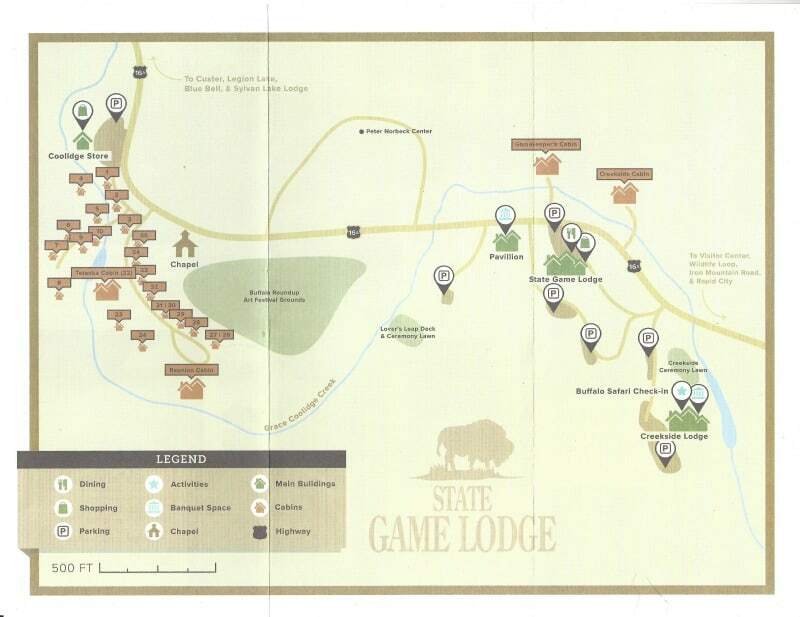 There are 28 cabins at State Game Lodge. 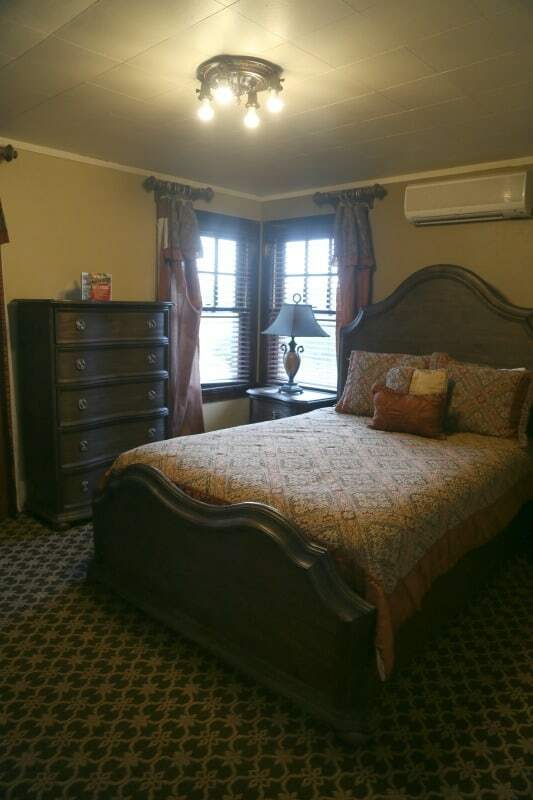 3 rooms with 2 bedrooms and two baths with a king bed, 2 queen beds and a sofa sleeper are ADA Compliant and can sleep one to eight people. 2 level cabin with a full kitchen, five bedrooms, and two bathrooms can sleep one to fourteen people. The Tatanka Cabin has four bedrooms, five bathrooms, 1 king bed, 6 queen beds, 2 sofa sleepers and can sleep one to twenty-four people. This cabin has a stone gas fireplace and a deck overlooking Coolidge Creek. The Custer Ranch House has 3 bedrooms with 4 queen beds and 2 bunks, 3 bathrooms, and a full kitchen and can sleep one to twelve people. 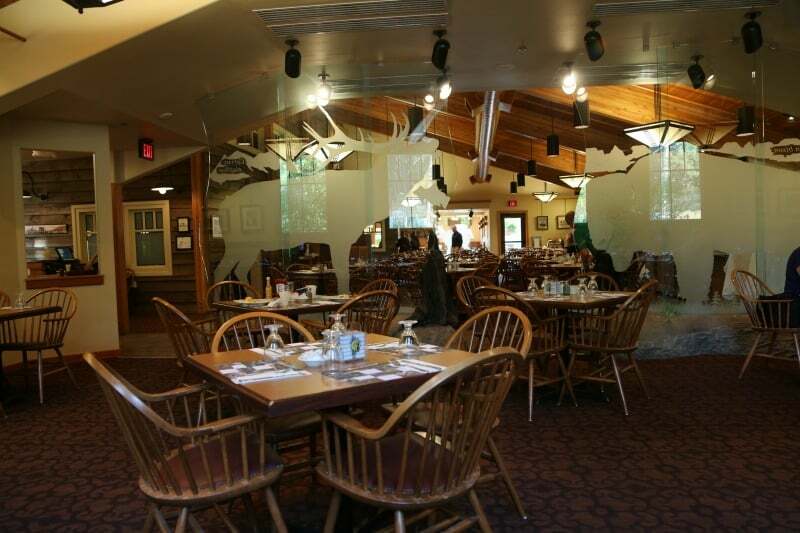 The State Game Lodge Dining Room serves South Dakota specialties including buffalo, pheasant and rainbow trout. with assorted syrups and toppings, biscuits and gravy, cheese blintzes, granola and yogurt parfaits, selection of fresh fruit, assorted baked goods, juices, and coffee. We definitely suggest calling for reservations. The online system can get confusing and a bit overwhelming. Each room is given a rate code and it can be mind numbing to figure them out. When you book a room the cost of your room for the first and last night including tax is required as a deposit. If you plan to visit during the Sturgis Motorcycle Rally the entire stay must be paid in full when you make your reservation. You can cancel thirty days before the rally rates for a $25 cancellation fee. Sleeping cabins do not have a kitchen. Housekeeping cabins have kitchen or kitchenettes and are furnished with limited eating/cooking utensils. All units have coffee pots, microwaves, small refrigerators, TV’s, Heat and A/C, towels and linens. $10 per pet per day, only allowed in certain cabins. Check out all of our Custer State Park articles for more help planning your trip!